1. 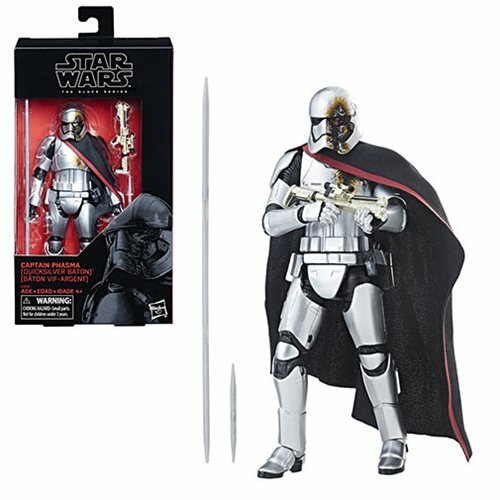 How many, if any, Star Wars collectors would quit collecting Star Wars toys if, as rumor has it, the 5 points of articulation(5 POA) 3 3/4" figure line is replaced with a 5 points of articulation 5" to 6" figure line? 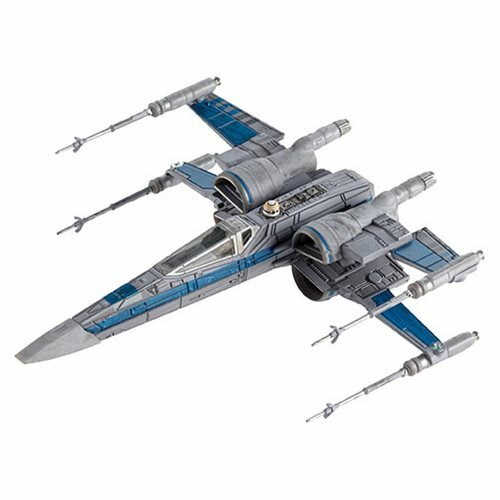 That would leave the Vintage super articulated(SA) line as the only 3 3/4" Star Wars figure line. Personally, I prefer the 5 POA figures over the SA figures, so I would effectively be shut out from buying Star Wars figures. I don't know how many other collectors feel the same way, but I do know some feel that way. 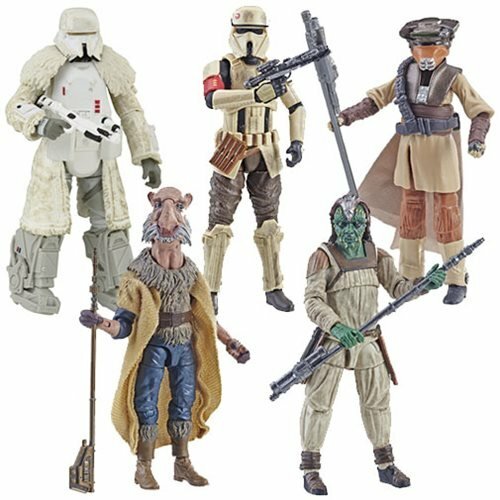 Anyway, what do you think, good idea or bad idea to axe the 5 POA Star Wars figure line? A little knowledge is a dangerous thing. I don't have the full picture of 2019, and I can't say everything I heard. I can say that this line's death has been predicted before, and fans seem to be ready for it to end. And others are ready for it to go for years. We're lots of fun. We've heard similar stories - like the end of super-articulated figures, only to have them show up as a retailer exclusive before getting another wide release - so it's generally a good idea to wait and see what makes the final cut before freaking out. Things change, and it's not like the The Last Jedi and Solo lines seemed to do much to excite long-time collectors - some of which have indeed moved on already. The landscape of the line has shifted a bunch since the 1990s, where 6 joints were the norm. As time went on Hasbro decided to make more lightsabers, and those hit big. We've seen articulation increase and decrease over the years, along with the price, to results that aren't always things we expect. Speaking completely hypothetically, I don't think Hasbro could make a toy line without some sort of 3 3/4-inch line - and having so many divisions inside its own collector range is certainly unhelpful to getting people to stick with one format. We don't know what the final line will look like for later this year, and a lot could change, and a lot of rumors aren't completely true. Even more fun, sometimes the rumors that got out in the past (and I mean like ten years ago) were completely 100% true when reported, but the products never materialized. Things change - and as such, I am not going to be able to say much here. I'm enjoying the 6-inch line in terms of its technical prowess, creating amazing likenesses and top-notch articulation. They're not fun toys, though. Neither was the Solo Millennium Falcon, but I enjoyed the rest of the movie's figure-and-vehicle line. It's tough to know how Hasbro views the 3 3/4-inch line. I see it as a single segment - some have more joints than others, but it's one big line. I'm joint-agnostic - if you give me a Sim Aloo, I don't care if it has 3 joints or 30 joints. Just get the size right. I'm beginning to think it's more likely Hasbro will complete the original Kenner line as remakes in 6-inch before 3 3/4-inch, but who can say? Not me. Not yet. 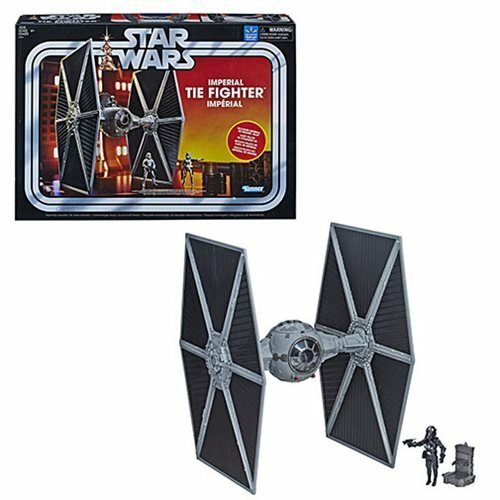 Ad: Star Wars Elite Hot Wheels and More at Entertainment Earth! 2. 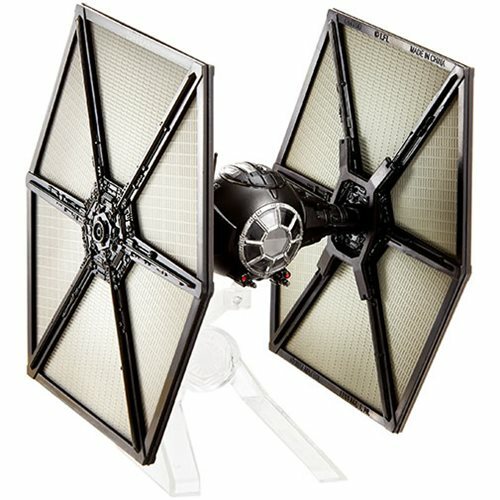 I was looking on brickseek to see if any of my Walmart stores had the 6 inch val, l3-37 and imperial patrol trooper, and noticed a very unusual surprise. Each of these look like they were listed at 3 cents, but the other figures in the same assortment are listed at $17.97. I only found them in two stores by chance and haven't seen them since in Walmart or any other brick and mortar store. Freak clearances are real and do happen - but sometimes it seems numbers in Walmart's scanner may not be completely true. I've seen prices online on Brickseek differ than the store when you scan a barcode more than once, and unless you bought that figure it's hard to confirm if it was true. As the "proud" owner of one-penny action figures from Wild Wild West and Gladius, I can say that these things can and do happen. Walmart sometimes does clearances by individual figure UPC, rather than the assortment. I saw this a lot in 2007, with figures for a couple of bucks at a Walmart next to others at full price. All I can say is keep hunting, and if you ever see something you might like to own at a retail store you should scan it. It might be full price, and it might not be. I bought a shopping cart full of Xevoz for $1 each around 2004 and 2005, so happy hunting. 3. Hi. 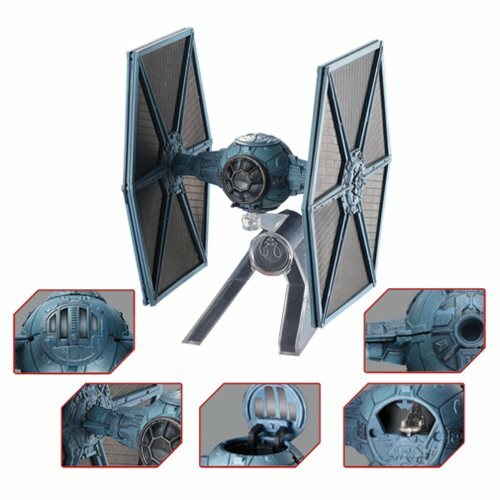 Now that the Resistance figures are out, do you know if there will be any other 3.75 figures coming out before E9? I know there are a few vintage waves planned, but I have heard of nothing else. 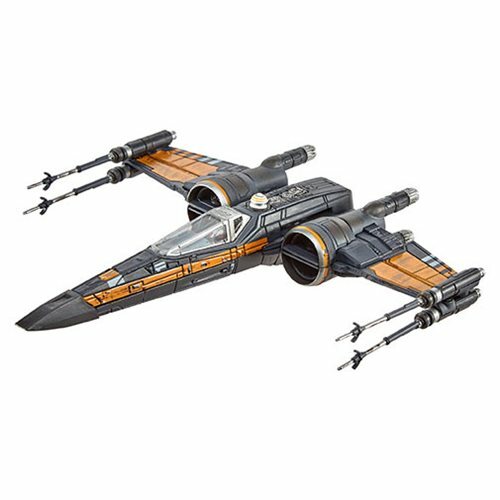 Could Hasbro still release SW product into 2020 if they don’t renew the license? For example, if Haslab chose to do another SW project, it would be sold in 2019, but would ship in 2020. Hasbro's future reveals are up to Hasbro. We know that there are a lot of 3 3/4-inch figures coming for The Vintage Collection, but Hasbro has been curiously close to the vest for the snooze-inducing Galaxy of Adventures. Force Link 2.0 should be over and done with - save for a few stragglers in not-individual-figure-formats - and Resistance's rollout is, to say the least, not inspiring. I can't imagine we won't see more waves, but what and when? Hasbro hasn't said yet. 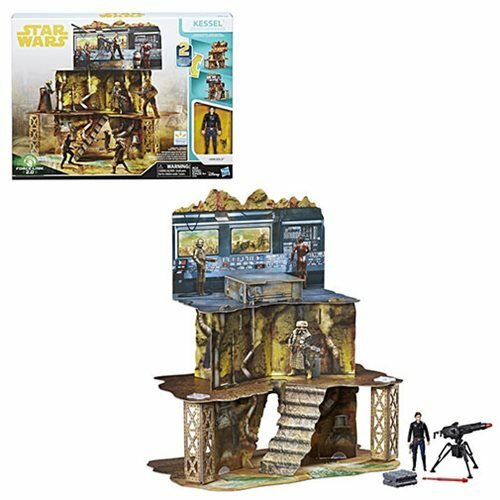 There are new Micro Force figures in ligthsabers though, some of which seemed to go direct-to-clearance in some stores. That's life for you. Generally a toy license has a "sell-off period." A company has time to sell off whatever it is they made before ties are cut. As of today Hasbro, Disney, and Lucasfilm have not yet made official any deal or non-deal regarding the license past 2020, but it was my understanding it was through 2020. That would, in theory, mean they could be selling stuff into 2021 at the very least. I would expect them to renew just because I don't know if Star Wars is the valuable juggernaut it was 10 years ago for various reasons, and as such it's a big gamble. Best to stick with Hasbro if they can swing it. For a fine example of the sell-off period, look no further than Power Rangers. BanDai's license is over and now they're finishing up, selling down what's left before Hasbro's line goes on sale soon. We saw a similar transition phase with Sesame Street between Mattel (Fisher-Price) and Hasbro (Playskool/Hasbro.) I'm a little fuzzy on how Toy Biz went - generally they didn't have a lot of stale product. As it stands now, I believe the license would carry Hasbro through 2020 if they don't renew it. They have the home video period for Episode IX, after all. Once again, the mailbag is empty! Send in your questions today. With the Super Bowl, I usually take advantage of the Omega Man-like holiday to scour the town for weirdness. This year I stumbled on Live at the Witch Trials from The Fall and a used copy of Kirby Nightmare in Dreamland, as one does. Usually I'd putter around looking for action figures but it's been kind of dry. (Plus or minus the rain, that is.) 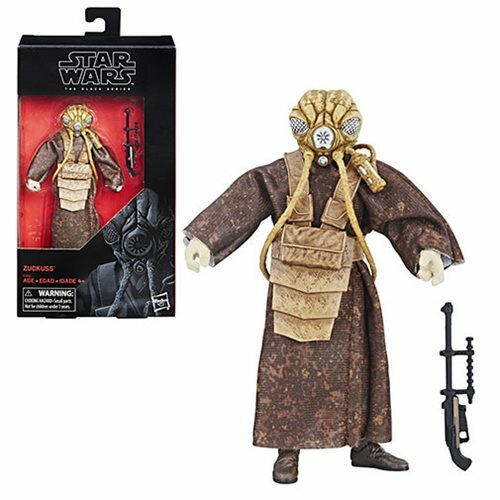 I've seen some more 6-inch Mimban Stormtroopers pop up at Walmarts, but the 3 3/4-inch one has yet to make its appearance on my neck of the woods. Or seemingly, most woods. One of my good pals from college got snowed out of going home, so I got to visit with him this week. I've been writing this column longer than I've known him - it's been a long time since I started pecking out toy news on dial-up for an email newsletter. I'm still using tech from that era, but I am starting to unload some of the older computer parts that no longer serve any clear function. I've got a dial-up modem that i used to use to transmit everything, and I don't know what I'm going to do with it other than stare at it until one of us dies. Thankfully in the lack of much new to absorb, I've been able to slowly continue selling off my trading stash - which has also been here since the 1990s. I've got a lot of old excess stuff I'm getting out the door a couple of items at a time, and that's been good. It's not helping with the goal - that is, clearing out lots of space for the Sail Barge that may be showing up as early as this month - but it is raising the funds for a table on which to put said Barge. That's a start, right? It's also worth noting that Toy Fair is a couple of weeks away. Should you expect a lot? I wouldn't get your hopes up - usually Q4 movies mean Hasbro won't show much other than a few catalog figures for The Black Series or The Vintage Collection, possibly alongside teasers for new lightsabers that your kids might enjoy. The Disney situation doesn't really let Hasbro unfurl cool news as regularly as we saw in the past, and maybe that'll change now that we are in - for the first time in quite some time - a time where we only know of one more movie officially in production. There's no official Episode X, or another A Star Wars Story, or even an animated film in the works - just a couple of streaming shows, the completion of some lost The Clone Wars, and that other show you're not even bothering to watch. So I look forward to - I hope - another classic alien figure or two. Maybe Mattel has a new nifty small-scale vehicle for us. A total surprise of some sort would be lovely - the bingo card would probably have HasLab Announces New Thing on the center square. We shall see. Heck, maybe an announcement of the future of the license - that'd be fun too!